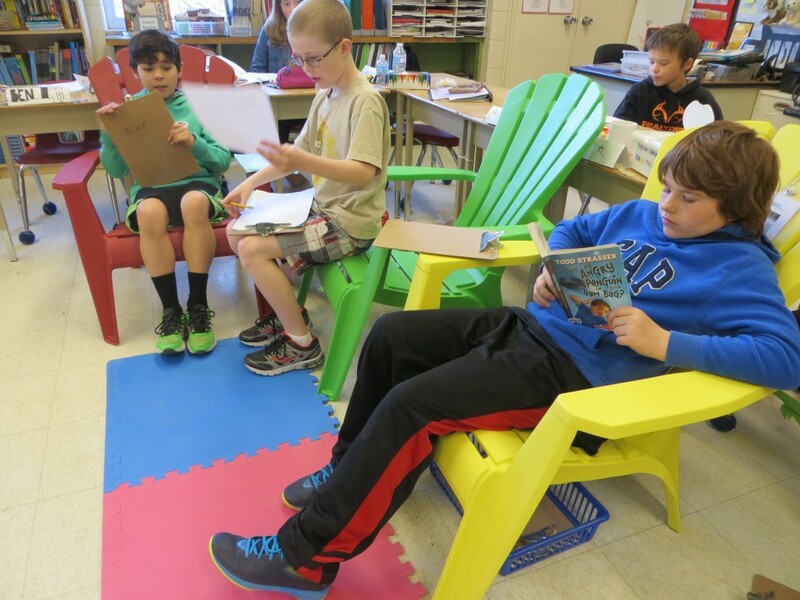 Author Margaret BlackPublished on April 18, 2016 April 20, 2016 Leave a comment on New Classroom “Study Lounge”! 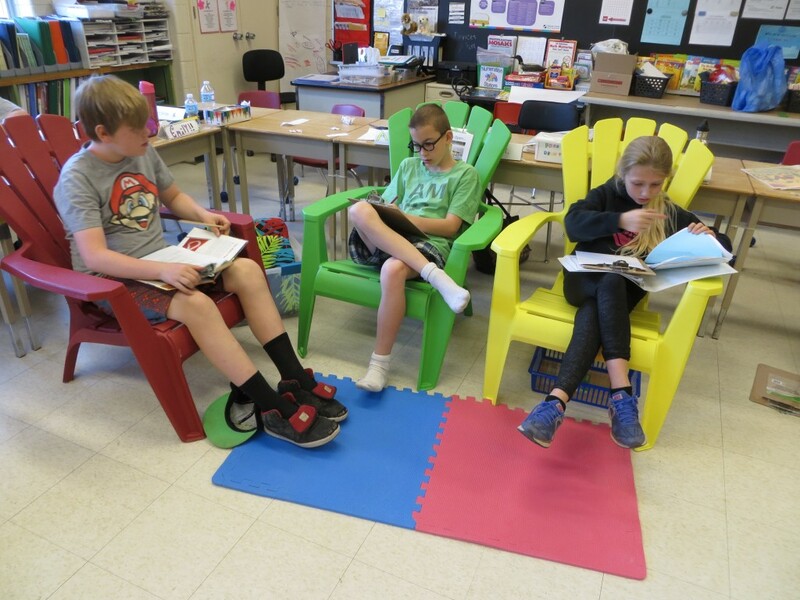 In an effort to make learning more fun and to help students focus, the centre of our classroom has been transformed into an alternative seating area. 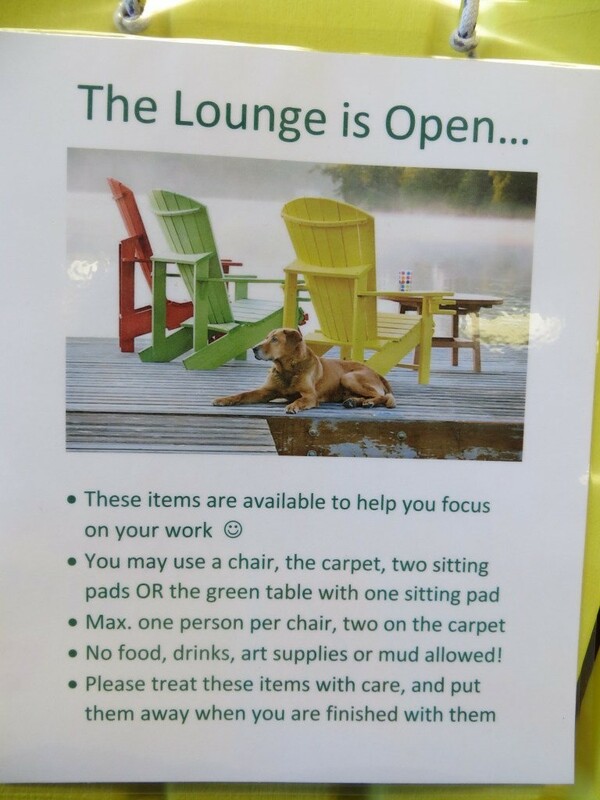 We rolled out our new "study lounge" this morning, and the response was very positive! 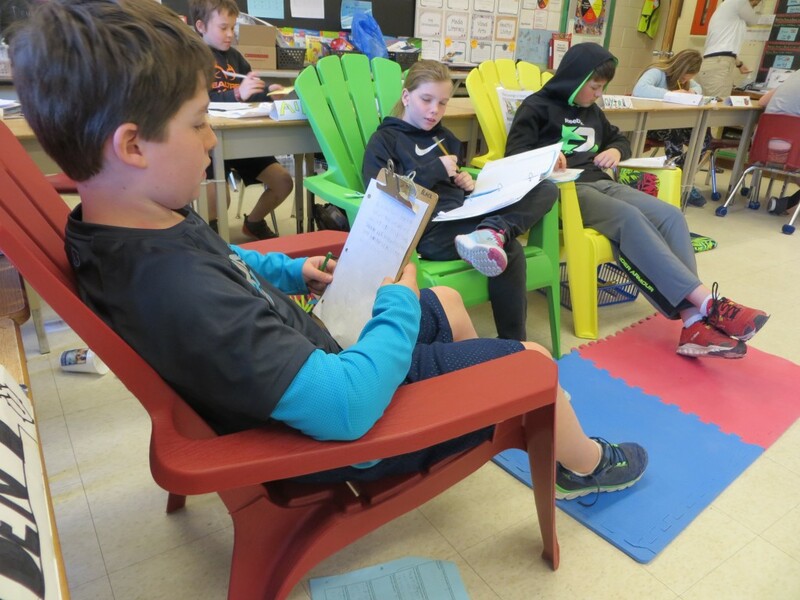 Groups of students were given an opportunity to choose alternative seating, this morning, to give them a break from sitting at their desks. 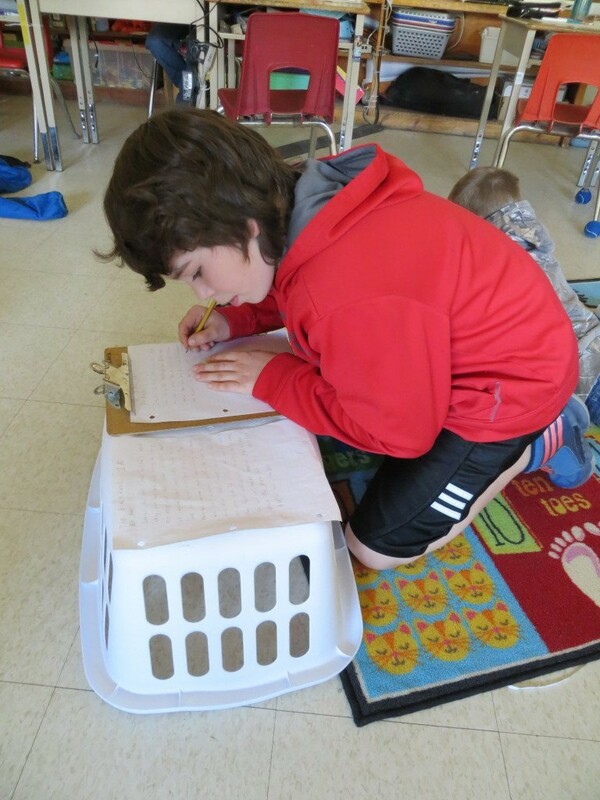 At the end of the morning, students were asked to write down what they liked about the new, alternative seating, how it helped them, plus suggestions about how the set up could be improved. 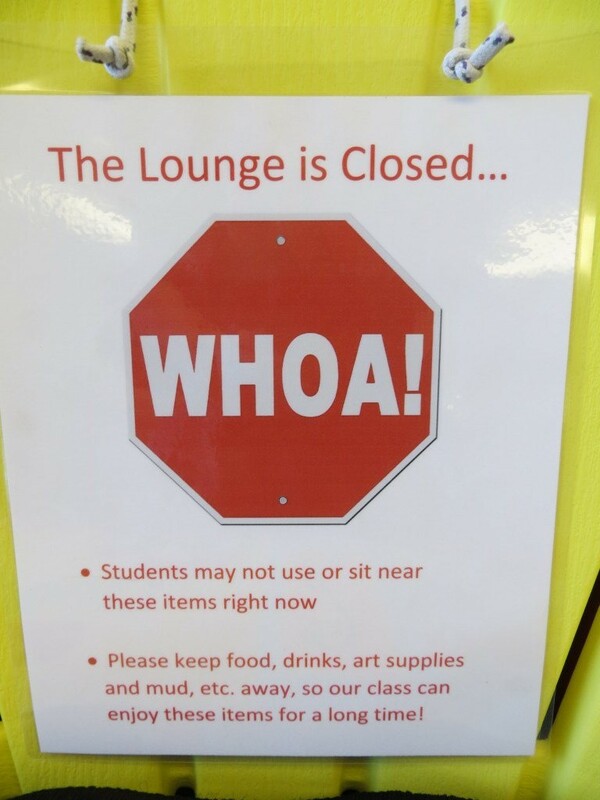 Aspects of the study lounge that students "liked" varied. 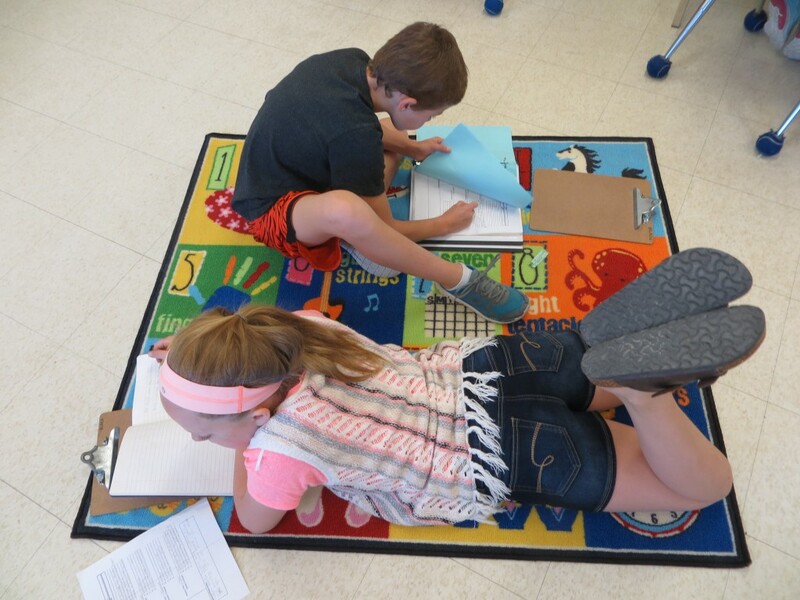 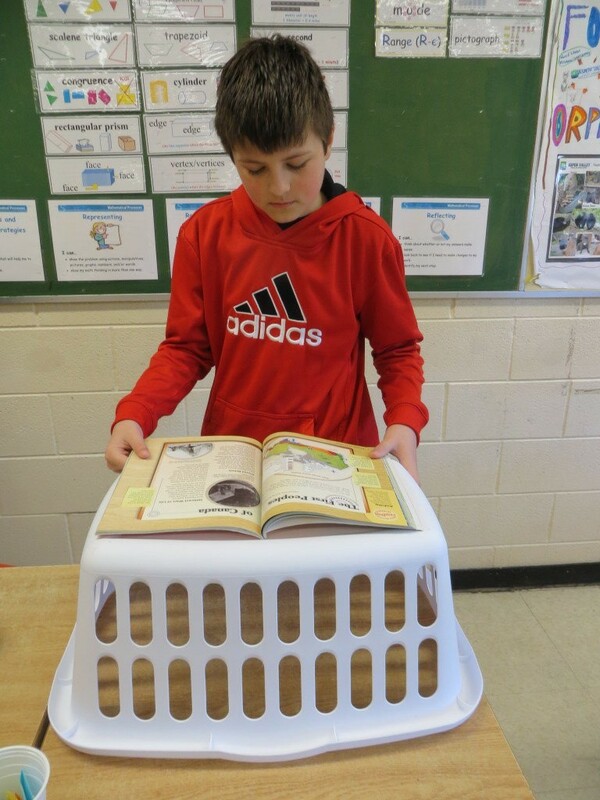 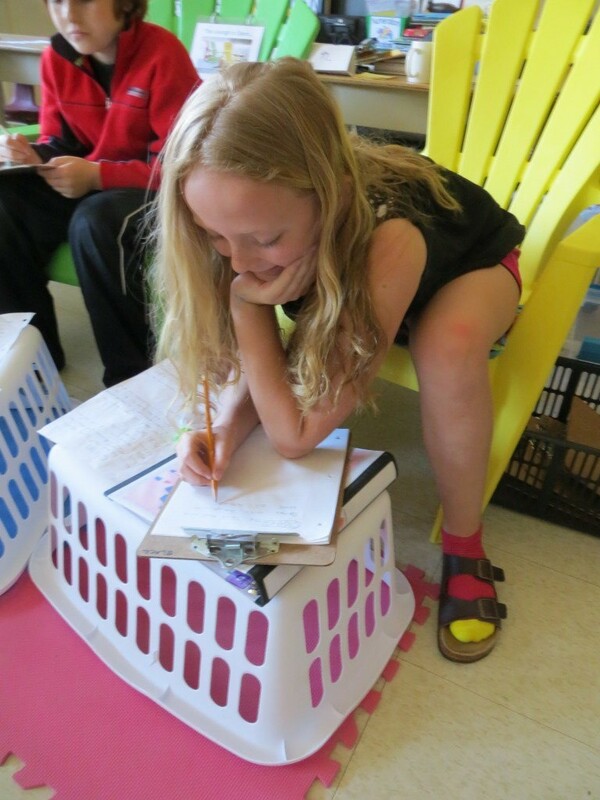 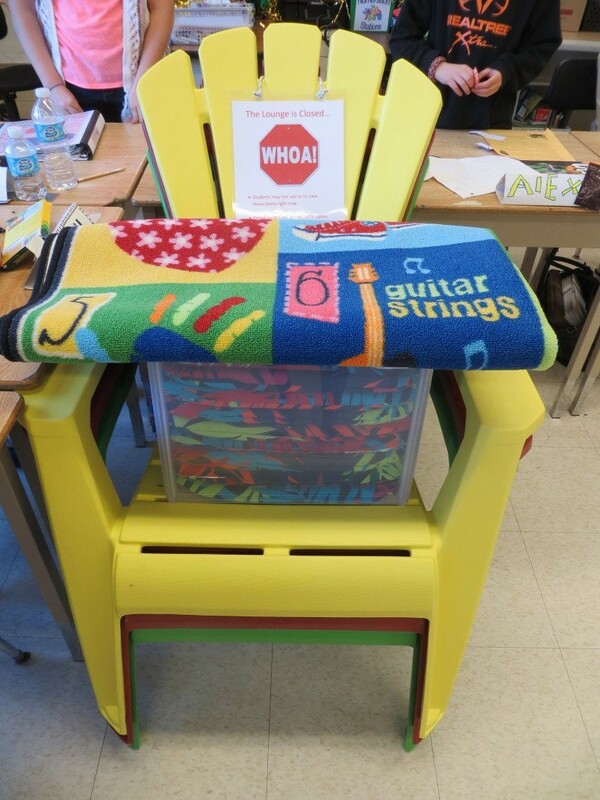 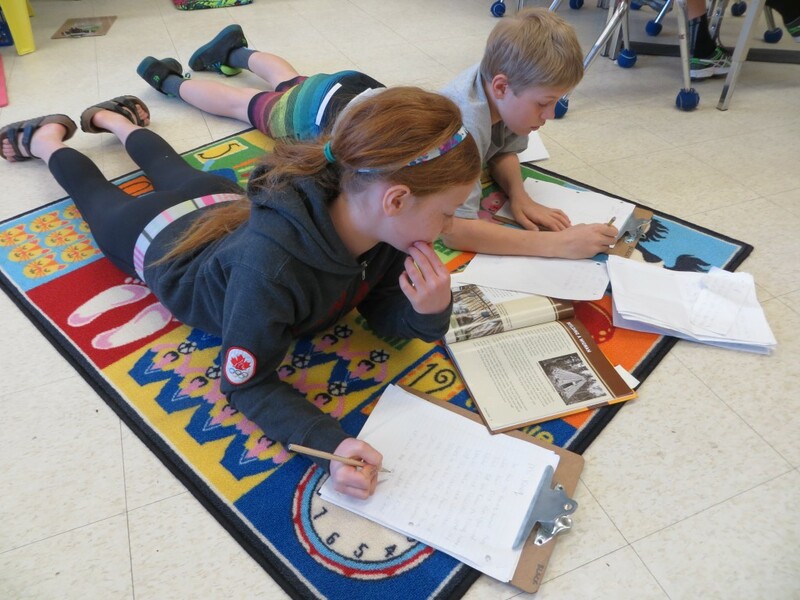 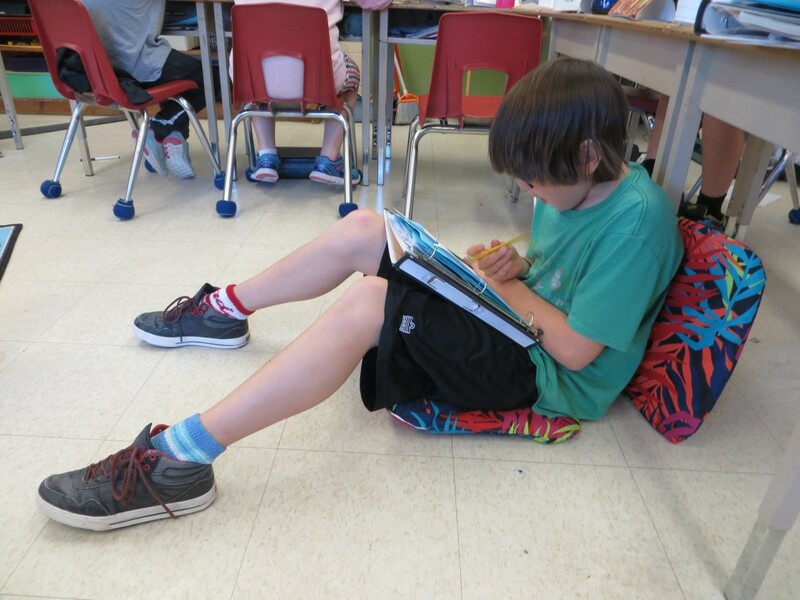 Some enjoyed being able to choose where to sit, others appreciated being able to change seating locations a couple of times during our 100-minute literacy block, some students mentioned favourite new seating areas, and several said the alternative seating was very comfortable. 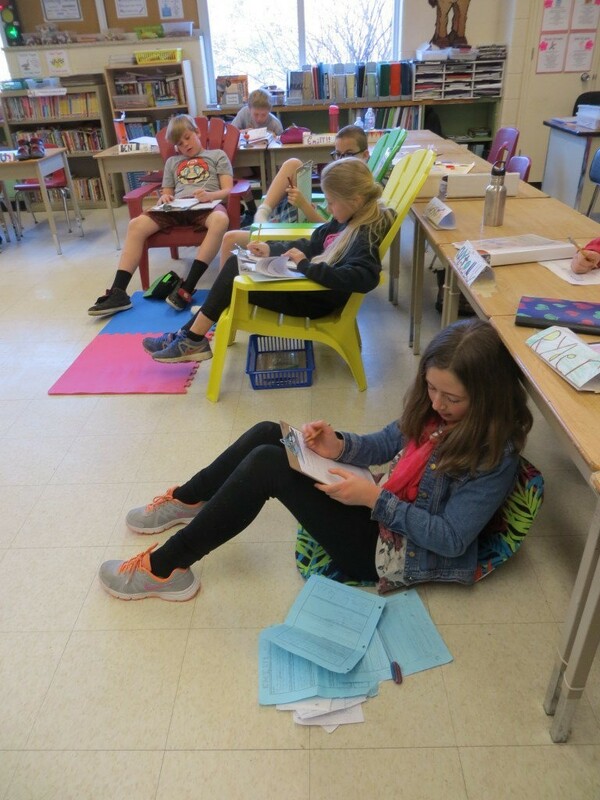 Almost every student said the new seating area helped him/her relax, focus, work, or be more productive. 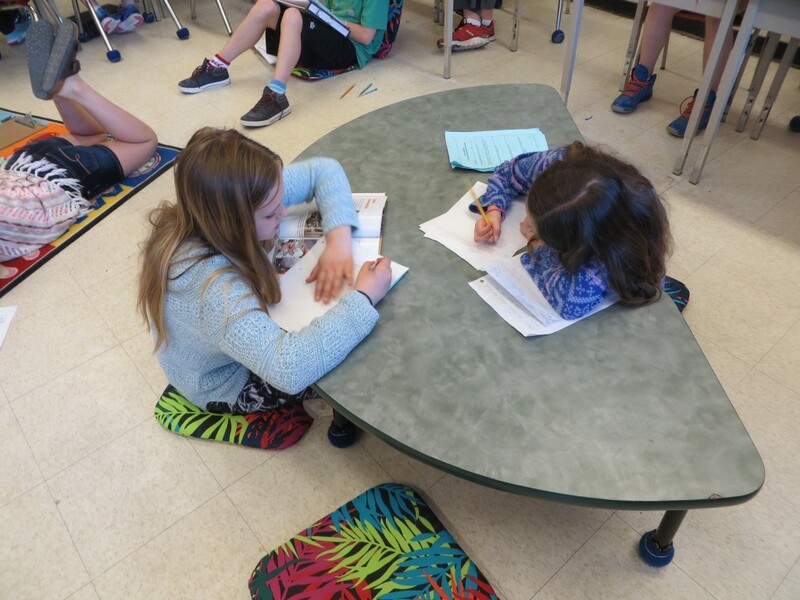 Suggestions from students included more study lounge time, more or bigger cushions and turning the classroom lights off to foster calming. 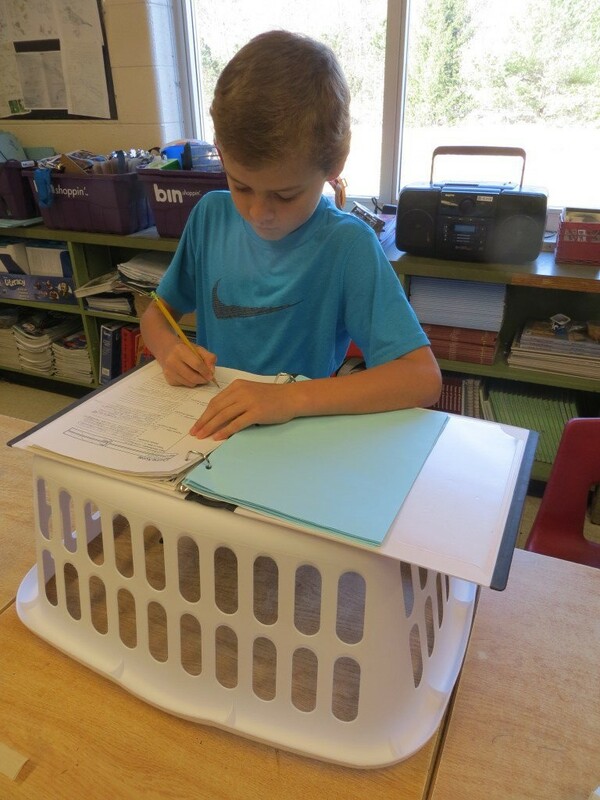 We also have four "portable podiums," for students who would rather stand at their desks, while working. 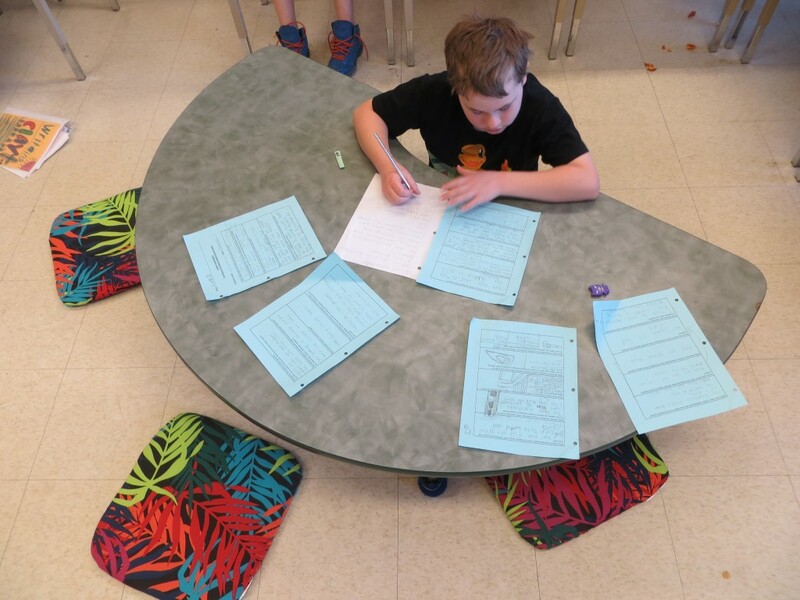 In the future, Mrs. Black is planning to add balance balls at some of the student desks. 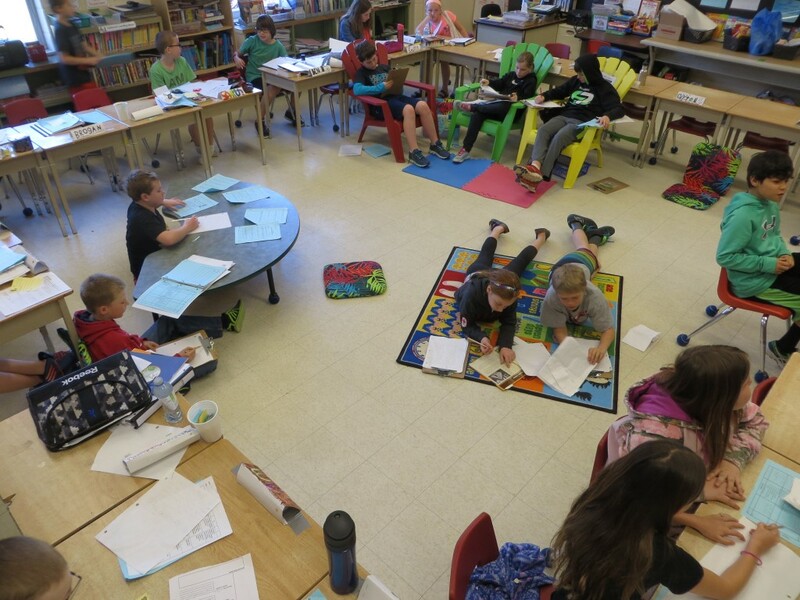 Previous article: Ice Storm Survivor 2016: Social Studies, Collaboration & Drama! 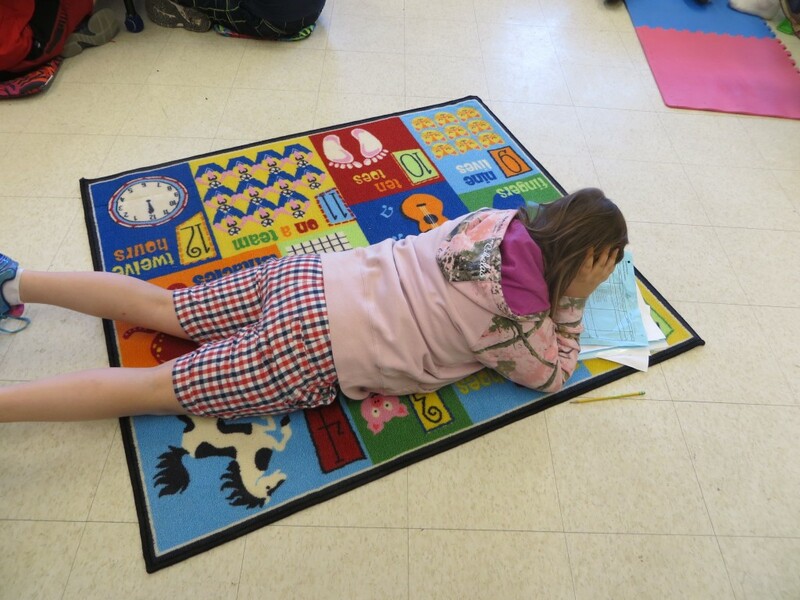 Next article: Magnificent Miss M!